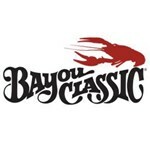 The Bayou Classic Double High Pressure Propane Burner will handle two large sized stock pots up to 60 quarts. This double high pressure propane burner includes two BG10 high pressure cast propane burners. It also includes a 15 PSI regulator kit which reaches 120,000 BTUs. 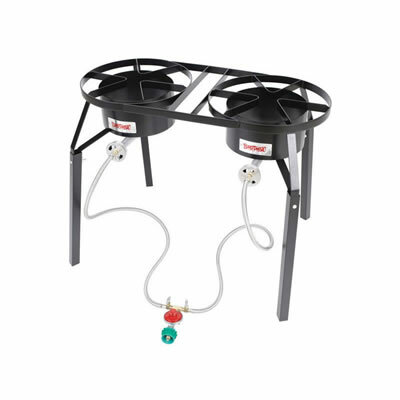 This double high pressure propane burner has two 14 inch cooking surfaces, the total length of 31 inches. Each burner has a control valve which allows you to adjust the flame on each individual burner separately. The Bayou Classic Double High Pressure Propane Burner does include extension legs. The original height of this high pressure burner is 13 inches tall. The extension legs raise the height to 25 inches.